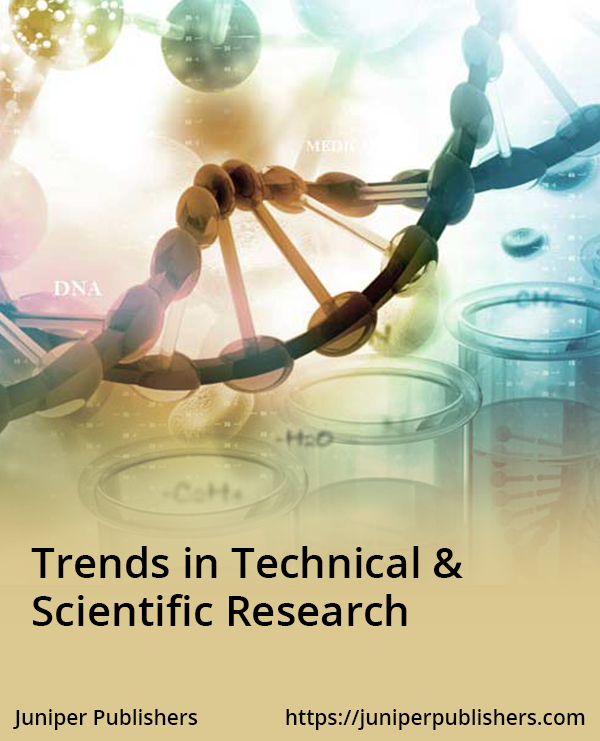 A Trend in Technical & Scientific Research is a journal which covers all aspects of covering the science and business of biotechnology. It publishes new concepts in environmental, biological, biomedical and agricultural sciences, Metabolic Engineering, production of fuels and chemicals from renewable resources, disciplinary underpinnings in biology, chemistry and engineering, biosensors and bioelectronics application & design, exploitation of biological materials, biofuels production from biomass, synergistic operations to improve plants and biological conversion for fuels production from lignocellulosic biomass, biomaterial structure and its applications, antibodies, nucleic acids, lipids, carbohydrates, or other biologically active molecules and its analogs, Bioconjugate Chemistry, molecular conjugates, Biocatalysis, enzymology, including enzyme reactors, protein engineering, and nanobiotechnology – Biothermodynamics, Pharmaceutical Biotechnology and Biopharmaceutics, Biomolecular Screening, automation/robotics, virtual screening, chemoinformatics, sample management, fermentation to genetic manipulation, microbial genomes, methods and equipment. Our journal welcomes all types of papers like Research, Review, Mini-Review, Opinion, Short Communication, Case Report, Proceedings, Editorials, Letter to Editors, Perspective etc.